Ships bow showing hawsepipes, with stdb anchor home; the port one being raised; courtesy of www.blueoceantackle.com. Anchor chains are connected to a windlass that can either be of vertical or horizontal design. A vertical windlass is known as a capstan, and we shall describe the operation of the anchor and its components using a capstan. The capstan has a drive wheel called a gypsy that is notched to suit the forged steel chain links. The chain is fed from the capstan along the deck of the fo’c’sle head through a pawl and down through a hawsepipe pipe in the deck exiting at the ships bow. From here the chain drops downwards and is connected to the anchor using a shackle whose hardened steel pin passes through a hole drilled in the anchor central shank. 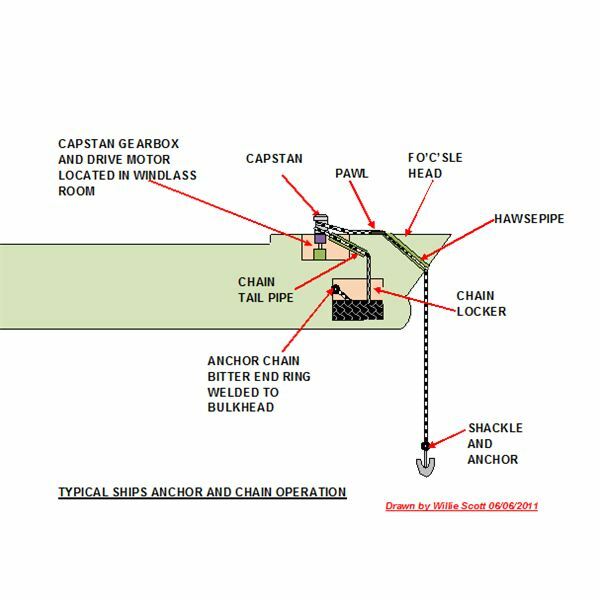 The anchor chain is stored in the chain locker; where its end is secured to a ring bolt welded to the chain locker bulkhead. 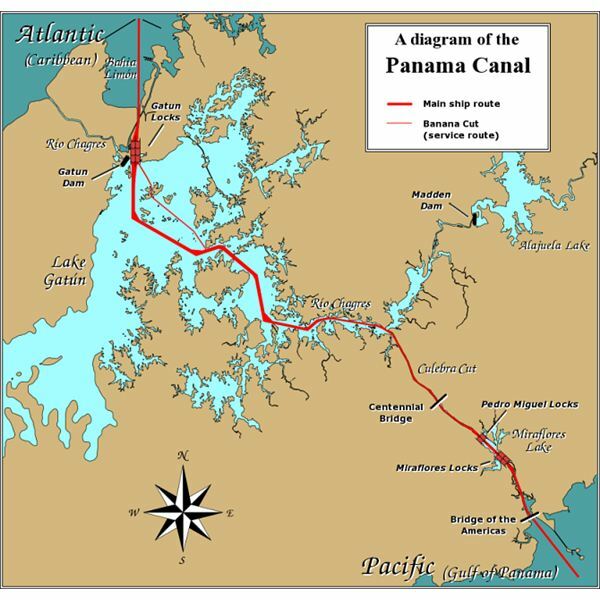 This is known as the anchor chain’s “bitter end". Whilst I was serving my time in Harland & Wolff of Belfast, I was working in the windlass room on a ship at the outfitting berth. I was being shown how to line-up the gearbox coupling on a capstan electric motor drive. One of the steel fabricators and a welder came in carrying a large steel ring and proceeded to weld this to the aft bulkhead. Curious as ever, I asked the men what it was for and, after a few ribald comments was told this was to secure the anchor chain and was known as the bitter end! 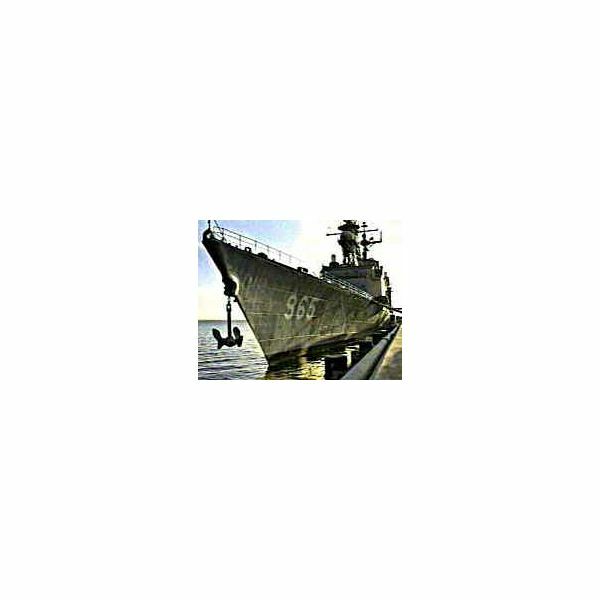 Now, as a boy in the shipyard I was subjected to much ribbing being told some tall stories. So after the men had gone I asked my gaffer and he confirmed this was what it was called. He went on to tell me that the ring was a “bitt" and when the anchor chain was fully fed out it had reached its “bitter end" – the end of the chain. Any I diverge; as I was saying, the vertical windlass or to give it its correct name the capstan, is fitted to the deck of the fo’c’sle head being driven from underneath by an electric motor and gearbox located in the windlass room. 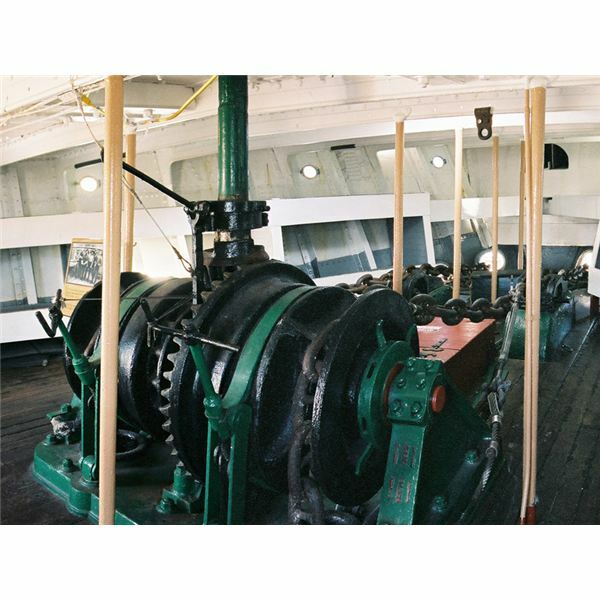 A horizontal drum windlass or a combination of widlass/winch can also be used to operate the anchor chain; these are located on the fo’c’sle head and normally driven from a central motor. 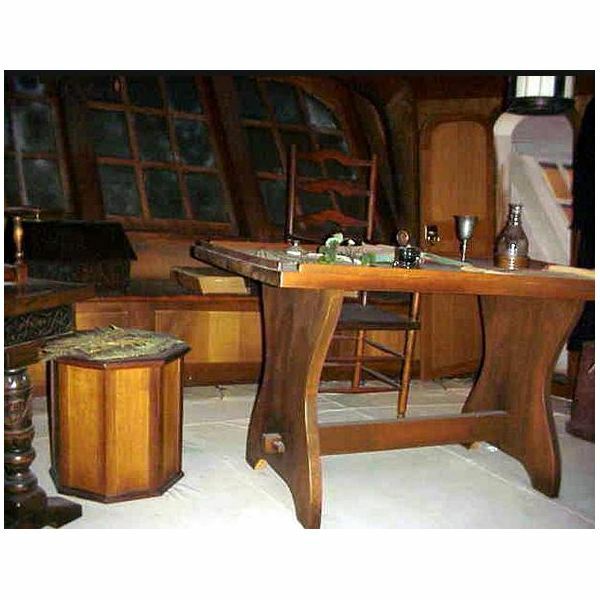 Both windlasses and capstans have a safety device known as a devil’s claw. This is attached to a wire strop; the other end of the strop is secured to the base of the windlass/capstan, there being a bottle screw in the middle of the strop. When the anchor is home (has been raised against the hawsepipe) the claw is inserted into an anchor link and the strop tightened up using the bottle screw. 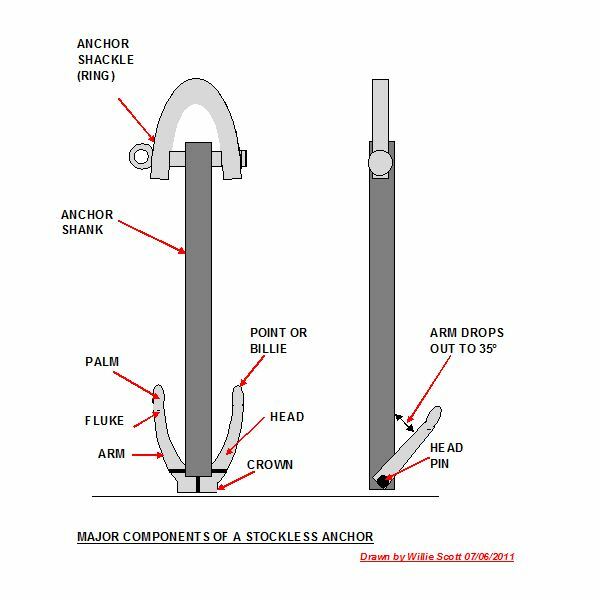 This prevents any inadvertent or, accidental lowering of the anchor should the brake fail. When I was at sea sailing as an Engineering Officer on large oil tankers most of VLCC’s had port and starboard capstans or windlasses driven by hydraulic motors; I seem to recollect steam driven ones as well, but I may be getting mixed up with winches on deck as this was over 45 years ago. A sketch of a typical anchor operating system using a capstan, along with an image of a windlass and, anchor maintenance from Wiki Commons is shown below; please click on images to enlarge. 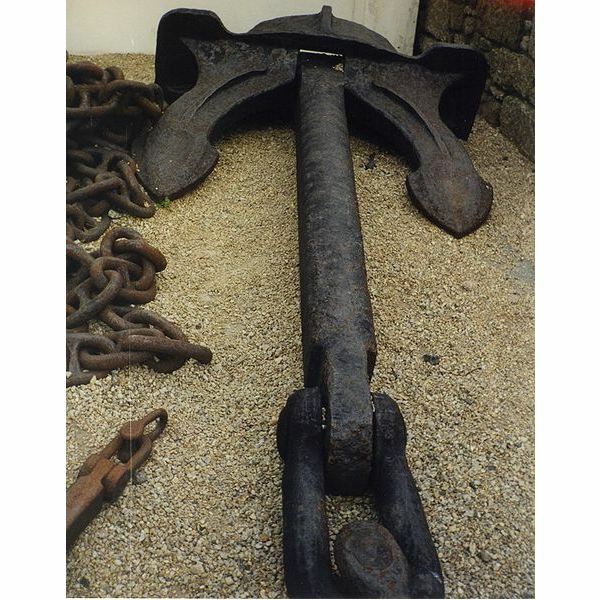 Anchors are fabricated from a number of materials; the earliest ones being made from large stone blocks, sacks of sand, wooden logs or from mesh baskets filled with an assortment of stones. Once the industrial revolution came along, blast furnaces produced the pig- iron from which cast iron anchors were made. Following the development of carbon steel, this was used to fabricate steel anchors through drop forging. 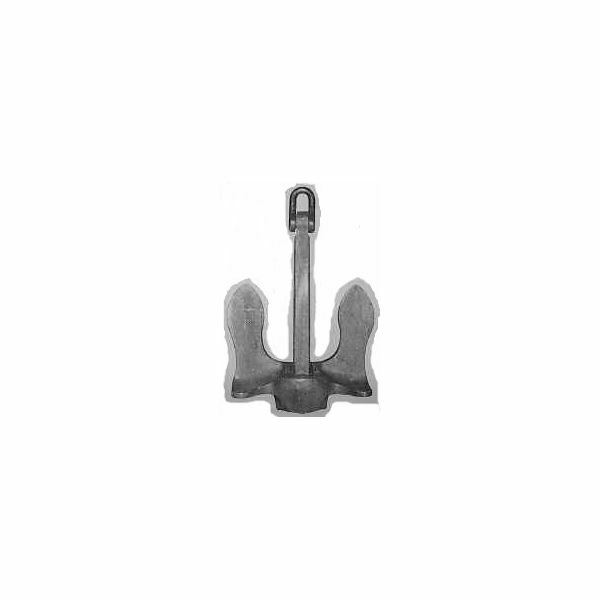 The British Navy/Admiralty played a large part in the design of metal anchors eventually designing the anchors with the familiar pointed flutes. The next stage from this was the design of the anchors whose flutes pivoted on a head pin allowing a better grip on the seabed. 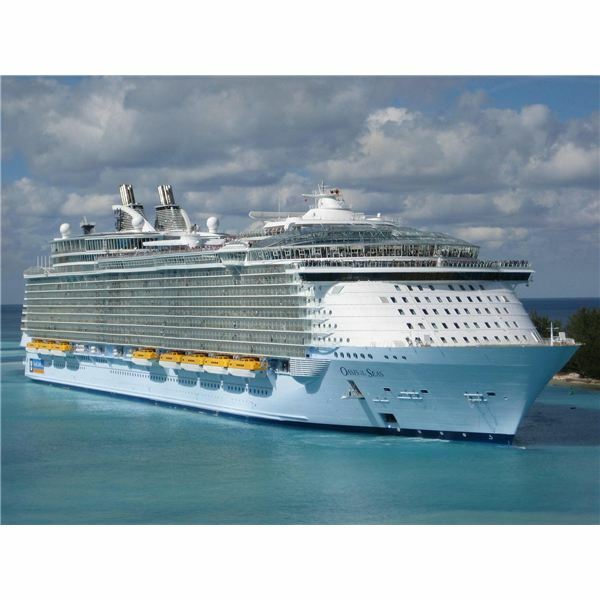 Stainless steel, brass and bronze alloy LWT (Lightweight) anchors are normally used by yachts, pleasure craft, and small fishing boats; the heavy cast iron and forged type being used on deep-sea ships. 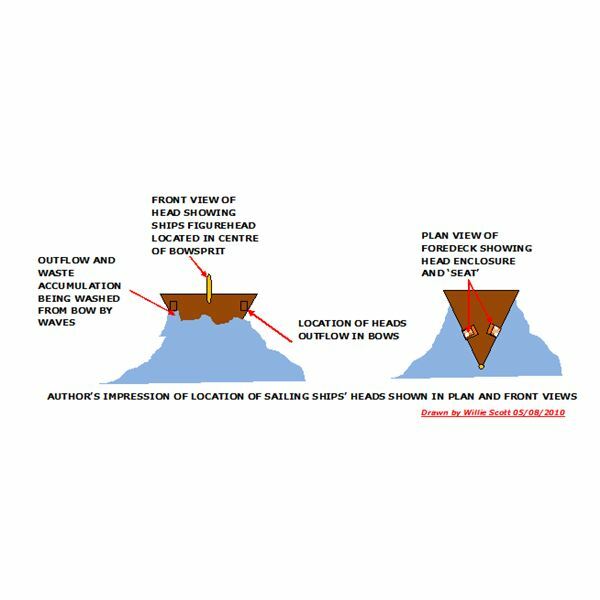 There can be two bow anchors known as bower anchors and a stern anchor, the later doubling up as a means of getting off a sandbank, lee shore, or shallow water rocky prominence. 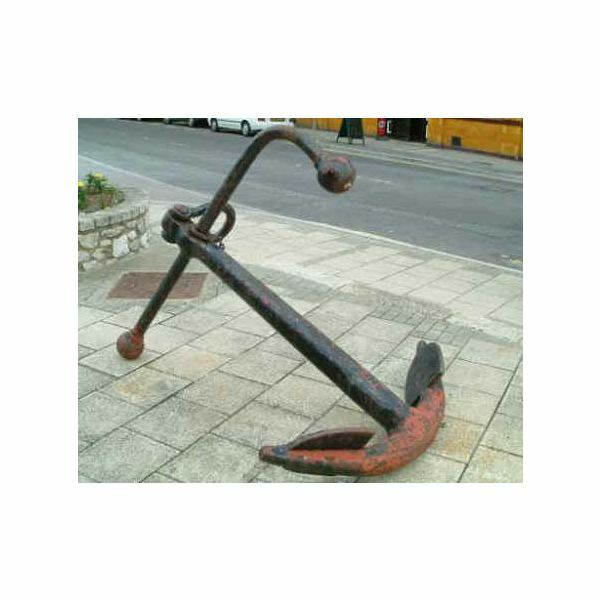 Anchors can be described as stock or stockless and a sketch and image of a stockless anchor is shown below; please click on images to enlarge. 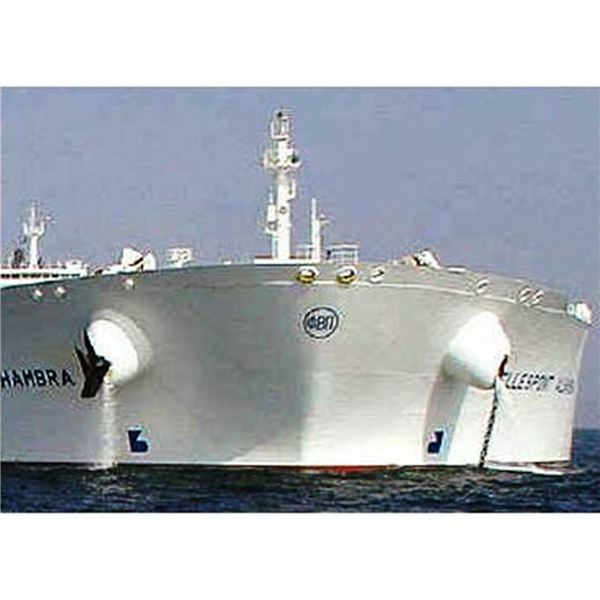 There are Certification Authorities such as Lloyds, ABS, and DNV who class and certify anchors for use in naval and commercial ships. 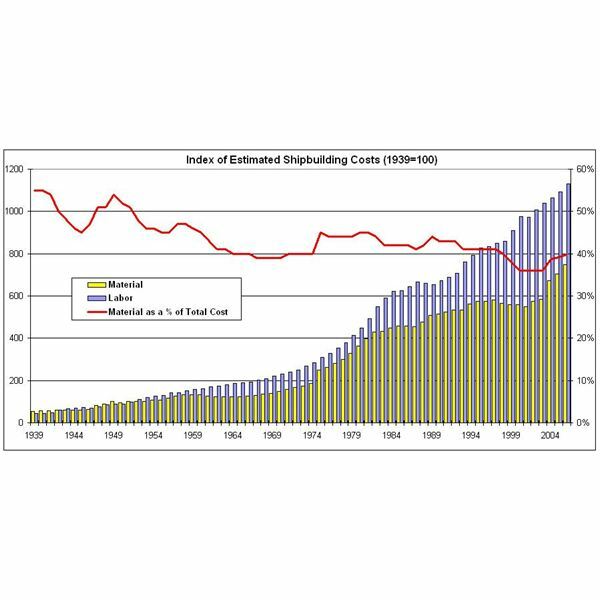 There are two classifications used; HHP (High Holding Power) and SHHP (Super High Holding Power) and these are noted on the relevant certification. 1. 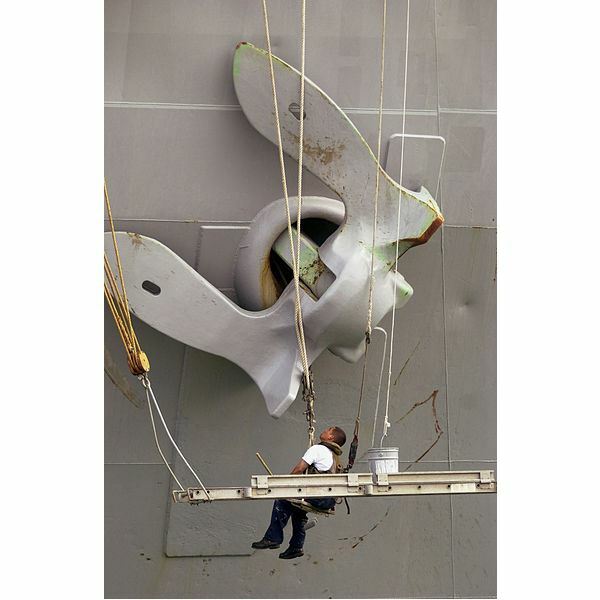 Temporary Anchors – used aboard ships. 2. 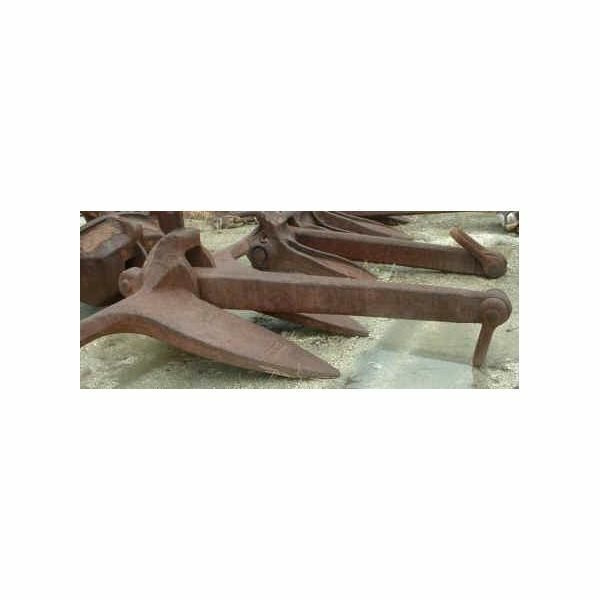 Permanent Anchors – used as moorings where the vessel such as a lightship or an object such as a buoy is to be permanently sited. As this article is examining ships anchors; we shall leave the examination of permanent types for another day. 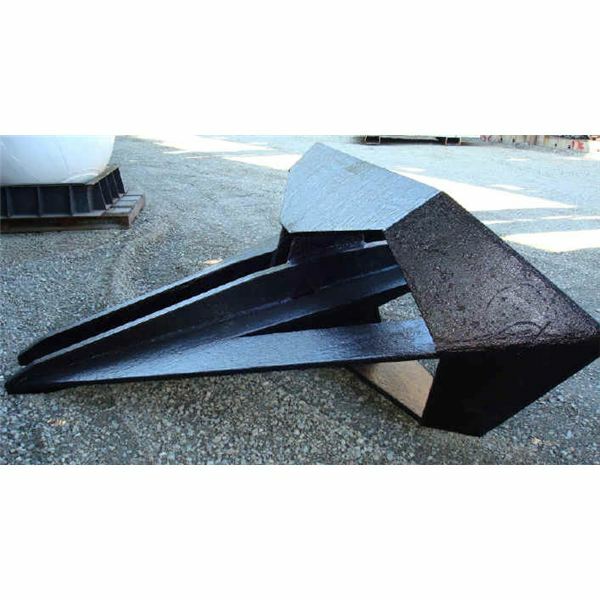 This is one of the most common stockless anchors, manufactured by Baldt anchor and chain. It can be be classed as HHP or SHHP having excellent holding power and capable of being housed snug against the hawsepipe when not in use. High Holding power ensured by large adjustable flukes/shank angle. Provides HHP and houses snugly into hawsepipe, does not require bolsters at bow. 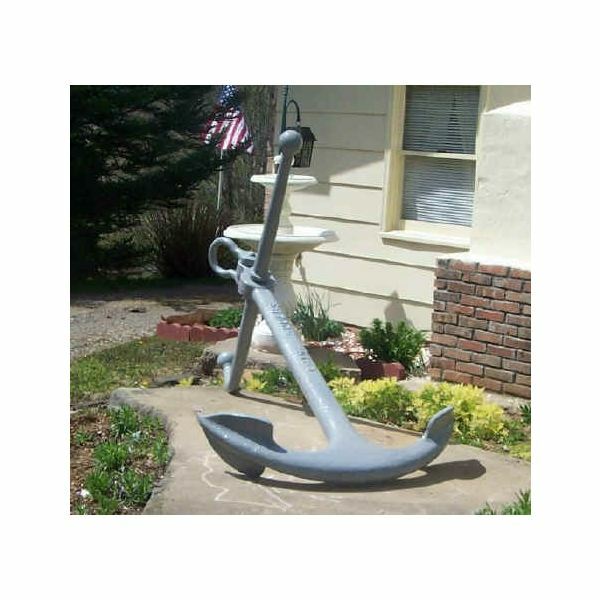 blueoceantackle: Featured anchor and tackle supplier. petersmith: Classification of ships anchors.